25kW HD Digital Radar The new Simrad Low Emission HD Digital 25kW radar system combine high performance open array scanners with a proven history of oceangoing reliability and the latest in digital signal processing. Experience unparalleled situational awareness, with exceptional detection of small or distant targets and minimised screen-clutter. Our new Low Emission 25 kW HD open array digital radar boasts exceptional detection of small or distant targets using our advanced Digital Signal Processing technology. Screen clutter in any weather is virtually eliminated, allowing a clear, accurate and easy to interpret image. The 25kW open array is ideal for larger motorboats 50ft+ in length. New Array Radar available in September 2014. The drive is a rotary mechanical autopilot drive system which makes it simple and economical to fit an autopilot on smaller powerboats with mechanical push-pull cable steering. 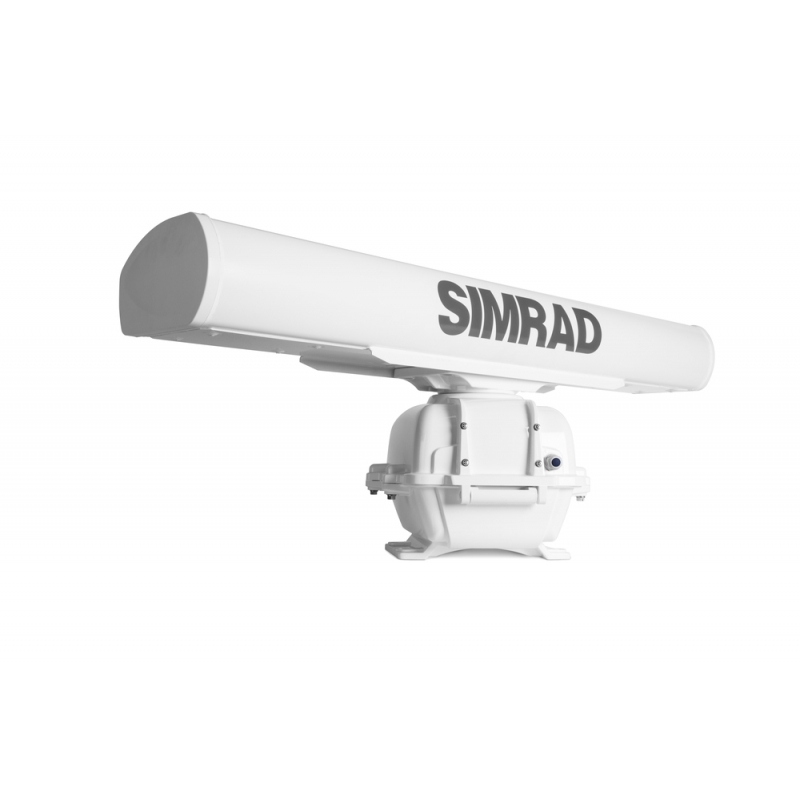 The drive unit is suitable for standard straight shaft configurations and incorporate a drive motor, solenoid clutch and integrated rudder feedback (RFB) capability. The compact drive unit completely replaces the existing manual steering helm and is totally concealed behind the dash, giving a neat, professional installation. Navigate, take control, and enjoy an unprecedented level of built-in functionality with NSS evo3. SolarMAX™ HD display technology offers exceptional clarity and ultra-wide viewing angles, combined with an all-weather touchscreen and expanded keypad for total control in all conditions. Cruise confidently with ForwardScan sonar, or fish easier with StructureScan® HD imaging and dual-channel CHIRP-enabled Broadband Sounder™ technology. Built-in Wi-Fi enables access to GoFree® online services, and delivers smartphone monitoring and tablet control to extend your display’s reach well beyond the helm. The NSS12 evo3 features a high-definition 12-inch display that offers a big-picture view of charts, radar, and sonar. Includes world basemap. B258 Bronze 1 kW Cauri korpusam 50/200 Khz Dziļums/Temperatūra ar HS Apiešanas bloku - Stara platums: 50 kHz—15° x 21°, 200 kHz—3° x 5°. - Četri Elementi. - Q pie 50 kHz—9, Q pie 200 kHz—15. 9 adatu melns savienotājs: Kabeļa garums 10.1 m (33.0 ft). NAIS-500 + NSPL500 kompl.. Ietver GPS500 antenu un mikro-C kabeli 1,8 m (6 pēdām) un T savienotāju.